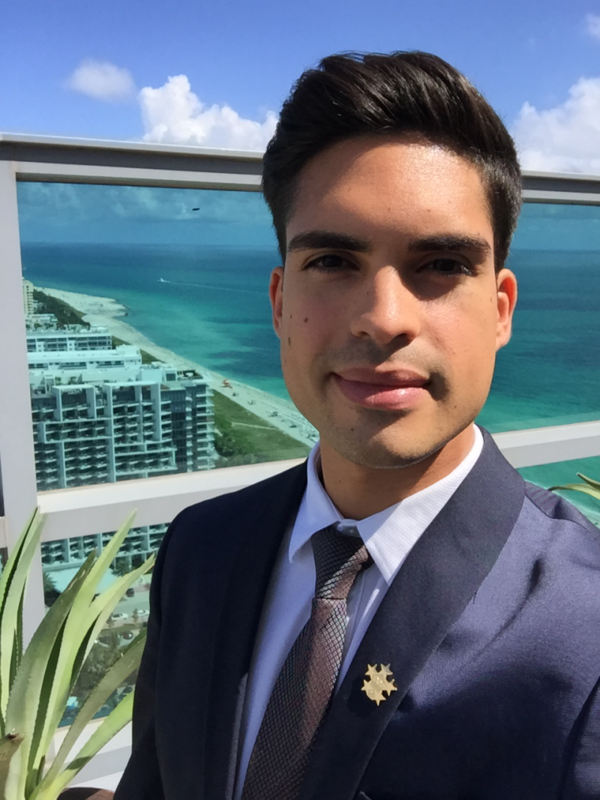 A Vatel Buenos Aires 2014 graduate and Vatel Martigny in Switzerland 2016 alumnus, Maximiliano Espojo is now working in the United States as the Duty Manager at the Setai Hotel in Miami. The entrepreneurial strategies course. It taught me how to formulate an idea and how to defend it. I succeeded in gaining the trust of my managers during my F&B Assistant internship at Hyatt group’s Hotel du Louvre. Then they entrusted me with the responsibility of putting new procedures in place. Ensuring and maintaining the highest quality in a hotel for its guests. A Duty Manager is linked to all the departments in a hotel: rooms division, the front desk, restaurant services, guest relations, human resources, sales, finance, general management, etc. Talking with the guests at the pool. That’s when I can ask them how their stay is and let them give me their impression. There’s never a day when you don’t have a musical, sporting or cultural event. The many different cultures who live in the city let you work, go out with and meet people from all over the world!